Korean drama heartthrob Lee Min-ho stars in Gangnam Blues, a gritty movie about how Seoul's Gangnam district was won in the 1970s. Before Gangnam became South Korea’s glitziest locale and subject of PSY’s viral music video, it was nothing more than a bunch of rice paddies. For two decades after the Korean War, it languished as the Seoul region’s least developed area. Then, in the 1970s, everything changed. As the Miracle on the Han River took off, urban development in Gangnam exploded to accommodate Seoul’s growing population and economic heft. The 1988 Olympics further spurred development and helped make Gangnam real estate the most expensive in Korea. Alas, where there is money, there is crime — and where there is crime, there is a story. For Gangnam, that story is told through Yoo Ha’s 2015 film Gangnam Blues. Starring everyone’s favorite pretty-boy heartthrob Lee Min-ho as its gangster protagonist, the film crafts a gritty tale of greed mixed with power mixed with vengeance, all atop the canvas of Gangnam’s development during the 1970s. The movie opens with two destitute young men, Kim Jong-dae (Lee Min-ho) and Baek Yong-ki (Kim Rae-won). Orphans and best friends since childhood, the two live and survive together. When their shack is demolished to make way for new urban development, they inadvertently get recruited into the Korean mafia. Jong-dae finds a father figure in clan boss Kang Gil-soo (Jung Jin-young) while Yong-ki drops off the radar for several years while in the service of another clan. By the time they re-discover each other, they’re both decently powerful thugs who aspire for more. More is exactly what they get — Seoul’s politicians and mafia dons see immense opportunity in Gangnam. By forcing farmers to sell their land for dirt cheap and then flipping the land among themselves to inflate prices, they can reap huge windfalls as soon as the Seoul government starts heavily urbanizing the area. Jong-dae and Yong-ki find themselves doing the dirty work in this scheme, intimidating, wooing, and profiting in a chess game of land deeds and influence peddling. At a glance, Gangnam Blues is a blend between The President’s Last Bang and A Bittersweet Life; it draws from the political shenanigans of the former and combines them with the brutality of the latter. However, what it does not share with those two films is an ability to leave a lasting impression. Both The President’s Last Bang and A Bittersweet Life are powerful, evocative pieces — the first will leave you chuckling wryly to yourself at the dark absurdity of Park Chung-hee’s regime, the second (particularly with its final scene) will touch your soul. Gangnam Blues is a very entertaining and action-packed piece, yes, but when the credits rolled, my emotions remained unchanged. Gangnam Style, Lee Min-ho style. I suspect the film lacks this lasting poignant punch because it is overextended. 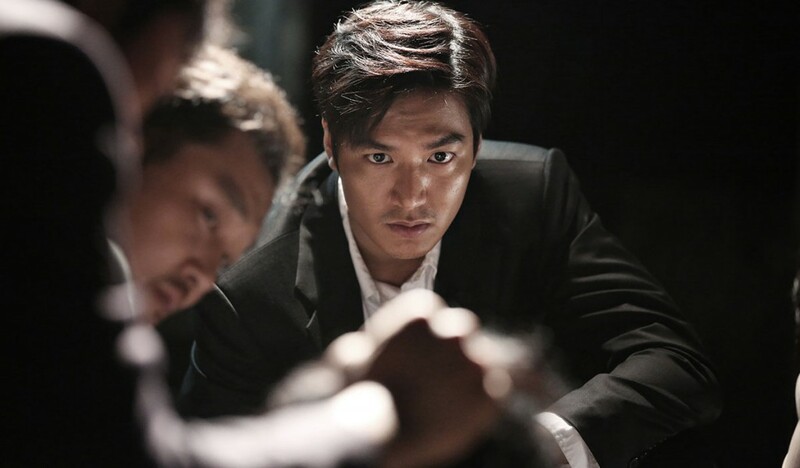 Gangnam Blues spans the course of at least five years, and a dizzying array of politicians, gangsters, gangs, and other players move back and forth throughout the plot. There was potential for a rich dichotomy between Jong-dae and Yong-ki, but the two are off cavorting separately with so many other people that it’s hard to judge them together until near the movie’s end, by when it is too late. Entire subplots, like that of Jong-dae’s adopted sister/Kang Gil-soo’s daughter (Kim Seolhyun of AoA) getting married, were mostly unnecessary and their real estate could’ve been sold off to strengthen either the Jong-dae/Yong-ki relationship or Jong-dae’s relationship to Kang Gil-soo. Ultimately, Gangnam Blues‘ biggest value may be in getting people to think about how Gangnam go to where it is today. It may not pack as much emotional weight as I desired, but it certainly got my intellectual gears going. A cursory search turns up little English-language scholarship about the political and criminal dimensions to Gangnam’s urban development in the 1970s and 80s — and the taste of this world that Gangnam Blues uncovered has at least left me hungry for more. 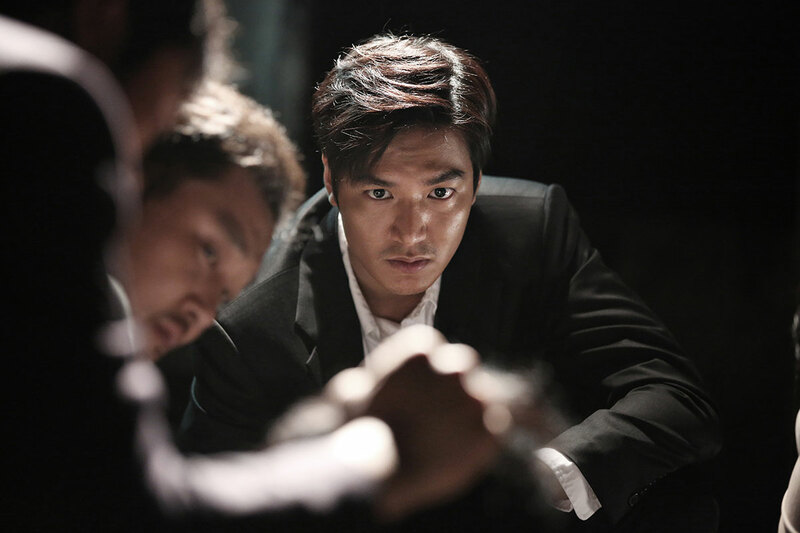 Gangnam Blues (Korean: 강남 1970)— South Korea. Directed by Yoo Ha. First released January 2015. Running time 2hr 15min. Starring Lee Min-ho, Kim Rae-won, Kim Seolhyun, and Jung Jin-young. Not enough Seolhyun in this movie! I am disappoint.